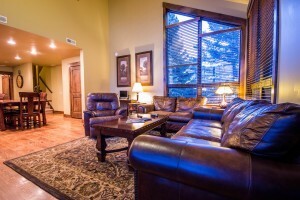 Park City Canyons Lodging, an All Mountain Lodging Company, began over 30 years ago with a simple goal: to provide families visiting Park City with an enjoyable and memorable vacation experience. Since then, our name has changed and our portfolio of privately-owned Park City Canyons Lodging has grown. However, our commitment to our guests remains the same. When you book a vacation rental through Park City Canyons vacation lodging company, you can rest assured that your comfort and peace of mind are our top priorities and that we are here to make your vacation in Park City a great memory. We care for each vacation rental as if it were our own. Just as important is the personal attention we give each of our guests. The owners of Park City Canyons, Bryan and Sonja Allison, are available 24/7 if you have any questions or concerns—either about your rental or about Park City’s many attractions. Our guests also enjoy substantial discounts on lift tickets, car rentals, gear rentals, and more. Check out our amazing Vacation Properties. Save time by using our convenient and very secure online booking system. Or contact us at (800) 421-5056 for help choosing the right Park City Canyons vacation rentals for you. With so many beautiful properties to choose from, you’re sure to find one that fits your needs, taste, and budget.